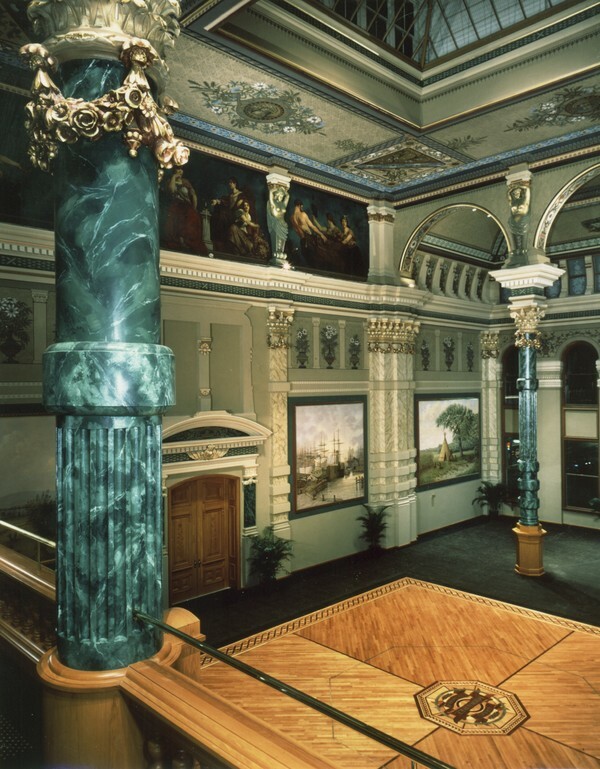 The 1879 Milwaukee Grain Exchange, listed on the National Register of Historic Places, was the location of the Trading Pit, first invented and used in Milwaukee, Wisconsin, and used as a model for other exchanges throughout America. 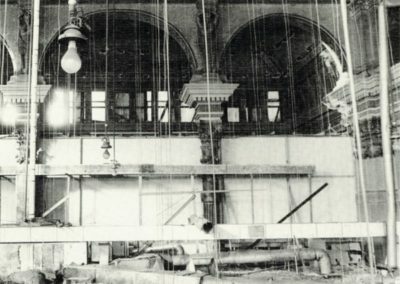 With diminished market activity in the 1930’s, the Grain Exchange moved out. 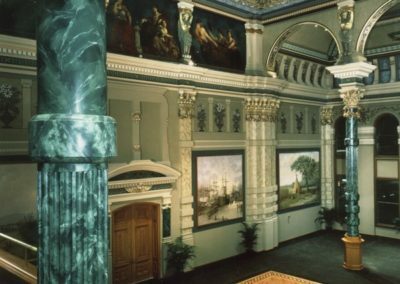 After several years of vacancy, the once opulent three-story room with its richly ornamented walls was converted, with a suspended ceiling, into smaller 12 foot high modern offices. 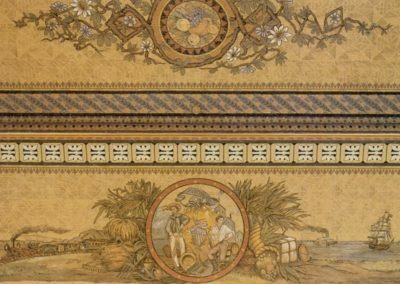 For more than forty years, the Grain Exchange’s splendor lay like buried treasure beneath dropped ceilings and acoustical tiles. 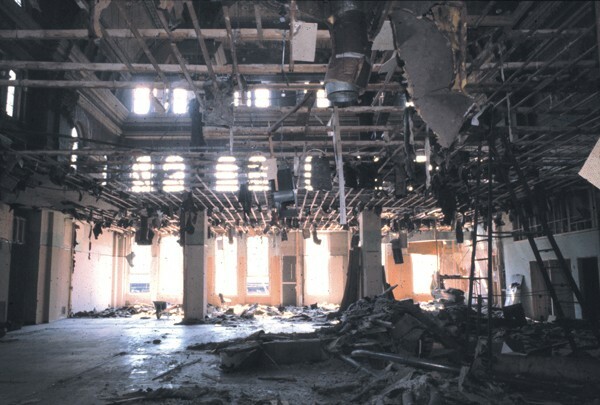 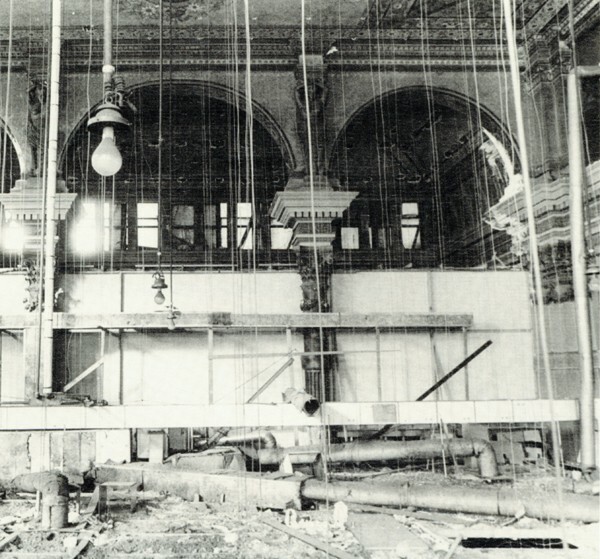 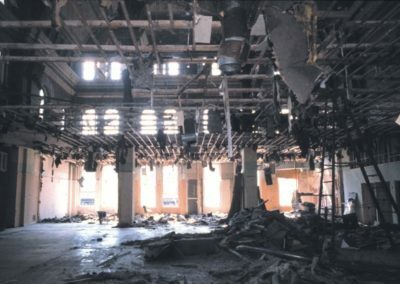 In 1997, The Grain Exchange was readied for restoration with demolition of the room and the removal of the suspended ceiling. 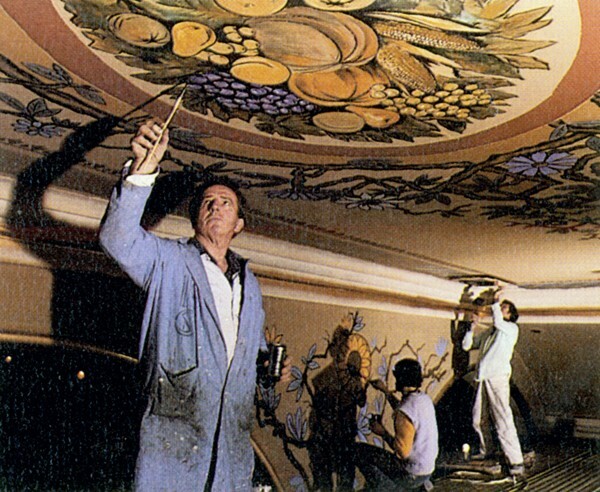 Conrad Schmitt Studios erected scaffolding to the forty-foot high ceiling, photographed and made tracings documenting and coding over 140 colors. 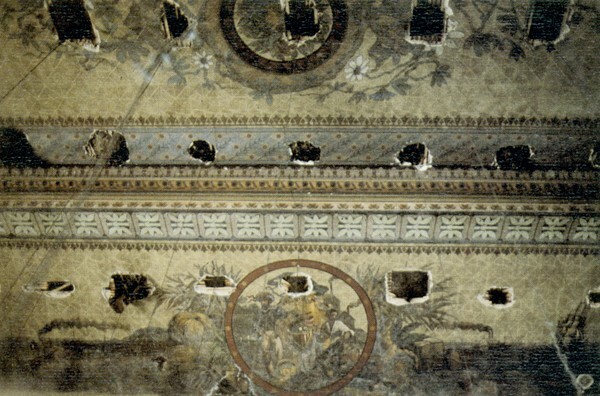 The area was washed, holes were patched and tracings reapplied. 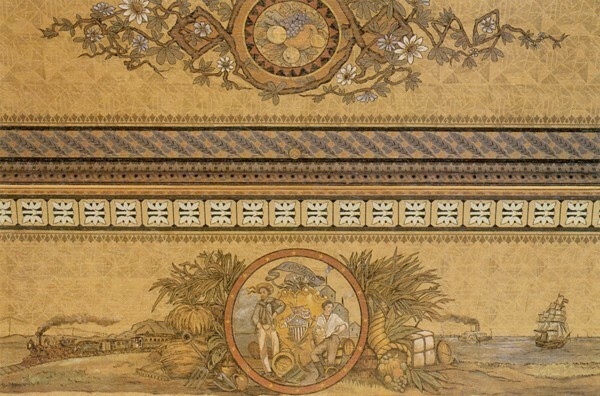 All patterns and details were repainted according to the coded colors and photographs. The stained glass which has been removed and installed in a local pub was retrieved and restored. 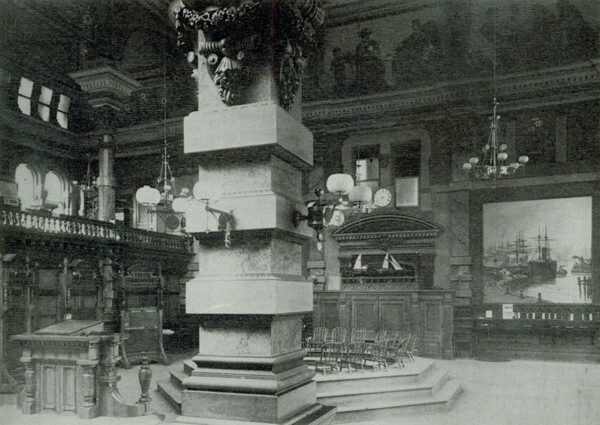 Molds were taken of the cunning locomotives and steamships worked into the capitals of the pillars and replacements were cast. 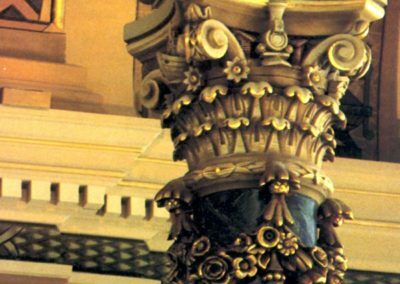 The three-dimensional wreaths of flowers that drape below the capitals were repaired and gilded. 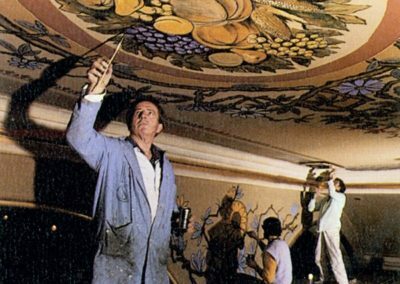 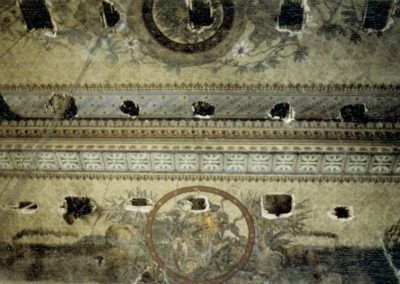 Missing murals were replicated and others cleaned and restored. 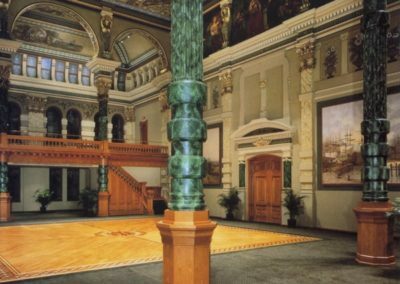 The three-year project restored the Grain Exchange to its former glory and was dubbed the year’s single most significant restoration projects in the midwest, if not the United States. 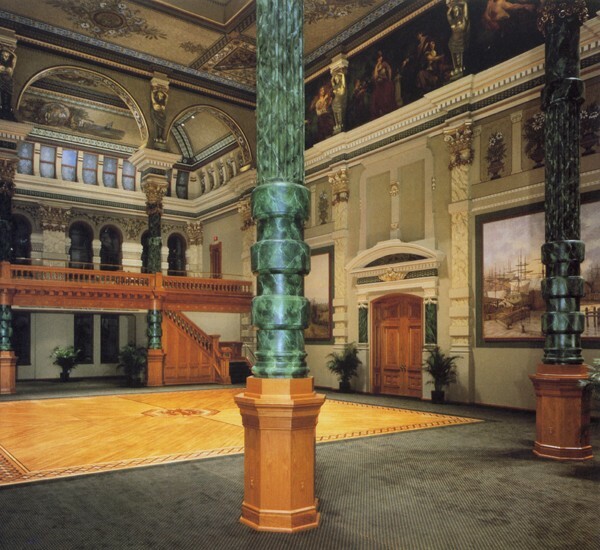 Visit here for an incredible view of the Grain Exchange room.